Divorce is a major loss that some people find harder to resolve than death. With death one is left without a choice. In divorce one is betrayed or one chooses to leave. Role losses in divorce and death are multileveled. We lose our lover, friend, provider, confidant, as well as our identity as part of a pair. “I just want it to be over, I want it back the way it was.” Every fiber of her being wants the old times back. The truth is that it will never be the same. She may be stronger and more courageous but she won’t be the same. 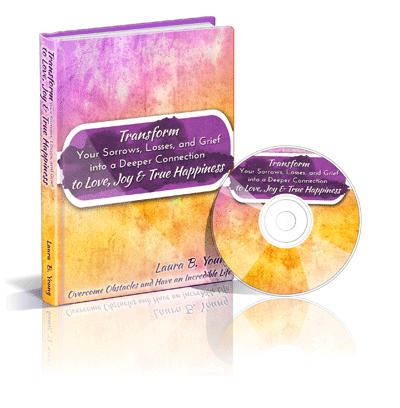 Discover how to resolve grief and start anew. I came to Montgomery to attend Officer Training School. Newly divorced and my best friend since high school had died suddenly, I could not focus and had trouble stopping the tears. A fellow classmate literally drove me to Laura’s office. I was an emotional mess. With compassionate understanding and guidance she walked me through the rough patches until I could stand on my own again. Her strategies are clear and definitive, but do not feel regimented. Having been through many life struggles herself, she knows what works and what doesn’t. I read everything she writes. She gives me a new way of looking at things, plus she is so encouraging, I get a new dose of confidence, with every reading.